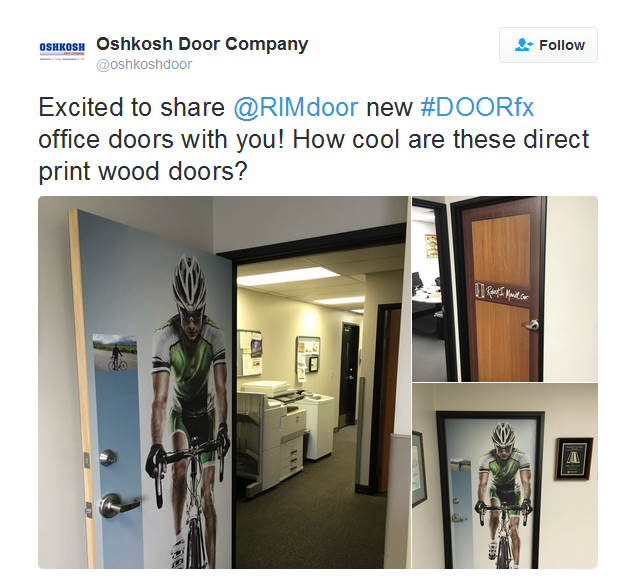 Great shout out from Oshkosh Door Company, on Twitter, showing how we've utilized DOORfx in our office. We love how they look! These Doorfx direct imagery prints are an easy way to personalize your space and stand apart. For more info, check out our previous blog post on Doorfx and visit us today.